You know the best part of fantasy worlds? That anything can happen there! Whether you get there by balloon or tornado, there might be surprises around every corner. Not every surprise is dangerous. The locals might just surprise you, singing and dancing to thank you for vanquishing their foes. There’s only one path to follow, and your dog sits happily in a tiny basket. This is your trip, you get to make the choices. You're Dorthy all grown up, we'd like to see that wizard pull one over on you now! You're journeying in your Saturn return, and your soul-searching journey will center around reconciling the one who got away (umm, heartless tin man seem familiar?) She’d also be a bit more...fierce. 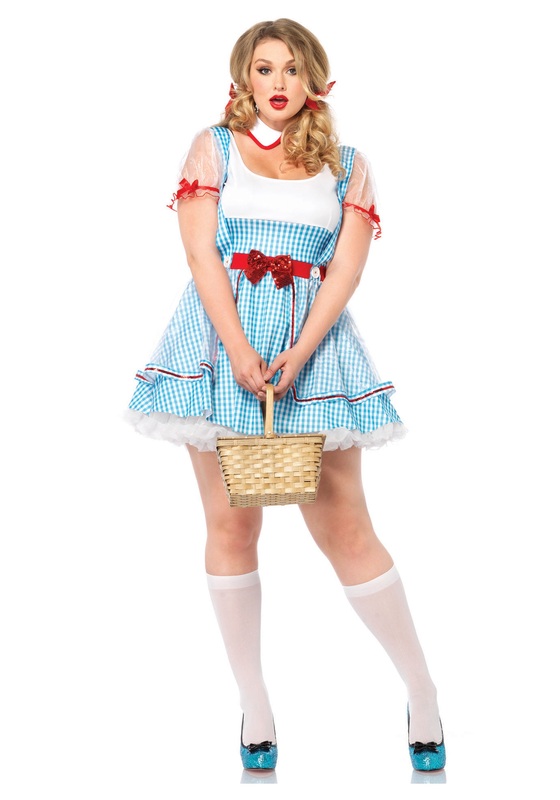 In fact, this Oz Beauty Plus Size Costume will be pretty much perfect for your harrowing journey. A little more skin, a little less Kansas, that's the key to a trip well traveled. Well, we would love to travel with a brave yet fashionable woman like you but you've got to go your own way meet your own odd other worldly friends. The point is, you're going to have a great time! Who couldn't in this little blue-and-white dre?s. You’ll want to pick up a petticoat for a bit of added frill and some dazzling red lipstick to make yourself extra Instagram friendly. We can’t do anything about training your dog to sit in a basket, but there are some pretty chic pooch carriers available. Have a blast living your fantasy, girly!